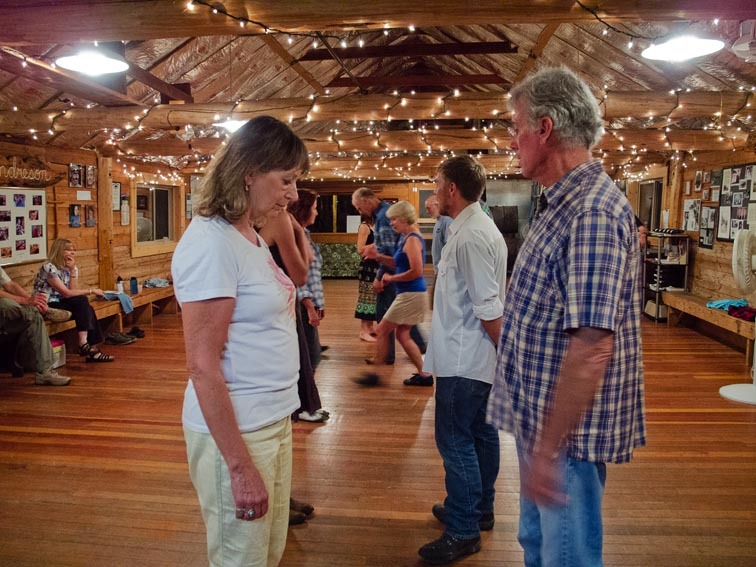 Last night friends and neighbors gathered at the Sondreson Community Hall to celebrate a North Fork tradition, an old-fashioned square dance. And this one was the best ever. With just enough people to make up two squares, everyone had a chance to dance all night long. Folks were prepared for each move thanks to Debo Powers who had spent time breaking down each song step-by-step so that we were able to practice before the music began. As a result, we not only did old favorites like the grand right and left but ventured into new territories with a Texas star and grand chain. Debo also gave a quick lesson on the waltz. Finally, she and Ed Neneman showed us how the West Coast Swing is done. The dancing continued until midnight and a good time was had by all. If you missed last nights square dance, don’t despair. Debo is leading us all in line dancing on Saturday, August 30th at Sondreson Hall starting at 8PM.